For EU citizens teaching English in Europe is an easy way to start a new life overseas. The beauty of being able to work anywhere in Europe visa-free makes applying for jobs overseas nice and simple. However, for native English speakers from the likes of USA, Canada, New Zealand and Australia – things are bit trickier. For Europhiles, the best option is Eastern Europe where the demand for English is higher and employers are willing to help sort visas and permits for worthy teachers! 17,098,246 km² – yep, Russia is a pretty big country! Meaning there are plenty of opportunities for English teachers. If you don’t want to end up out in the sticks then the best option is to head for the big TEFL hubs such as Moscow and St Petersburg. The type of demand in Russia varies from private tutoring to teaching high school students – the choice is up to you and the average salary can be much higher than you might have imagined. Since tutoring my life became easier; now that I work privately for these families, my salary is higher than my retail salary in Australia (if I have my full month of tutoring and we aren’t travelling, my salary is 1 ½ times that of in Australia). We travel every few weeks to some part of Europe, eating in the best restaurants and all without cost to me. See more articles about teaching English in Russia here. 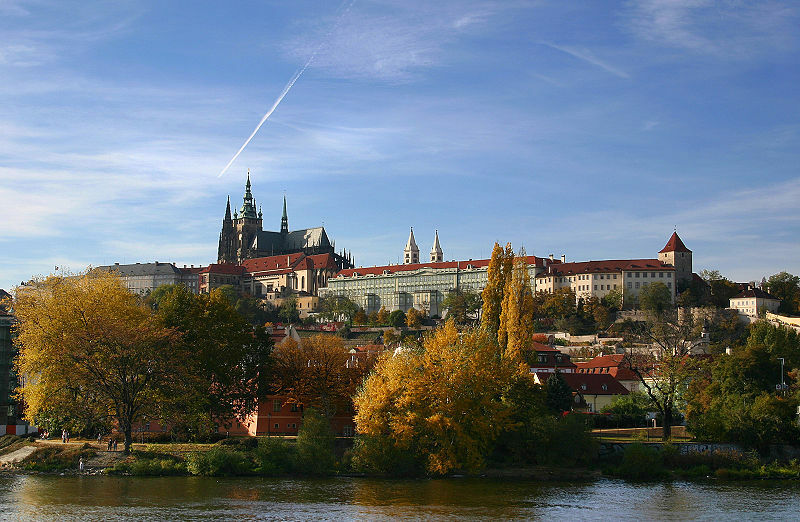 The Czech Republic has long been on the TEFL map; home to stunning Prague and, perhaps equally as importantly, for holding the title of the number one beer-drinking country in the world! As a TEFL teacher in the Czech Republic you can expect to earn around 20,000 to 30,000 Koruna a month. Competition for teaching positions in Prague can be fierce but head out to other cities such as Brno and Plzen and you’ll find more options and a lower cost of living. If TEFL hosted awards then Turkey would without a doubt receive the ‘best newcomer’ prize. 2013 has been a big year for Turkey as the demand for English teachers has gone from strength to strength. Whilst it was initially possible to find work in Turkey without a degree, popularity has meant that Turkey has tightened its requirements. Employers also offer attractive benefits such as airfare, pre-paid accommodation and meals too! See more articles about teaching English in Turkey here. A country with more history than you can throw a stick at, Poland has long been known as a TEFL hotspot especially considering its low cost of living and high availability of teaching positions. When you can get a main meal for £4 and a pint of beer for a quid, live and teach at your local school and save money each month, teaching English in Poland can be a rather comfortable experience! Teaching hotspots are, unsurprisingly, the larger cities in Poland of Warsaw, Krakow and Poznan. If you’re looking to teach at a school then semesters start from 1st October and 15th February –like the rest of Eastern Europe teaching positions are best found in-country so it’s worth arriving around a month before in order to snap up any vacancies! See more articles about teaching English in Poland here. We’re finishing our top 5 Eastern European destinations with a bit of an unknown! You might not think of Georgia as having much of a demand for TEFL teachers especially as there is only a population of only 4.7 million people (there are 8 million in London alone!) but you’d be wrong! Firstly, Georgia is a stunning country (think black sea coastline and sunny climes) and secondly it’s cheap (a meal in a restaurant is 13 Georgian Lari which is around £5). Being a TEFL teacher in Georgia will be sure to keep you occupied on a weekend! Located your passport yet? Ready for an Eastern European TEFL adventure? What’s your favourite? I am NOT a native speaker, but I have near-native speaking ability (I live in a Westernized city), and had just obtained a TEFL Certificate, do you think I can teach in East Europe, please advise and much thanks!! I spent a month in Georgia recently and I’d definitely recommend! It’s not super cheap (slightly less than Istanbul I reckon) but the people are fantastic and Batumi is brilliantly weird! I am a graduated English and Spanish teacher who taught both languages in High school for 27 years, currently retired and of almost 61 years old….Do you thinks it’s possible to get a job for a lady of my age…..I am from Venezuela…….